Th e Whitewater Community Food Pantry is located on the second floor of the Old Armory, 146 East North Street. The temporary contact people are Barb Quast at 262-473-5792 or Mariann Scott at 262-473-4219. 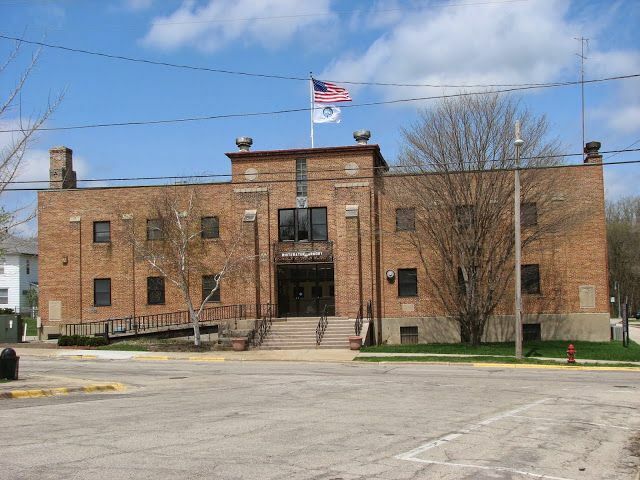 Due to repairs to the front steps and handicapped ramp at the City Armory, the Whitewater Community Food Pantry is temporarily located in the WIsconsin Dairy Supply building at 141B Whitewater Street, next to M.E. and My Pets store. The hours for the Whitewater Food Pantry at the Old Armory have changed. Here is the link to the website: http://richmondumc-wi.homestead.com/ministries-WWFoodPantry.html The hours are Friday 2-4 pm and Saturday 9-11 am. - From FoodPantries.org - Thank you, we have updated the hours. Your opinion matters. Leave A Review Or Edit This Listing for Whitewater Food Pantry. For more information call. Monetary gifts can be mailed to Harriet Millard at 454 Douglas Court, Whitewater, WI 53190. We always need more information on our pantries. If you know of any details, volunteer information, website, hours or more description information about Whitewater Food Pantry please add a comment (below the map on this page), with information. We will then display this for all visitors on this page.